Natchitoches (pronounced nack-a-tish), a charming French Creole town that has been celebrating a town-wide Christmas festival since 1926. This year, the Southeast Tourism Society named Natchitoches Christmas as one of the top 20 holiday festivals of the year to attend. sure why he did it. Was he visited by the Ghost of Christmas Yet To Come? Was he trying to light the way for Kris Kringle delivering gifts to the children of Natchitoches? Or was he just a kind-hearted soul that wanted to give back to the community he loved. Whatever his reasoning, 91 years later his gift has blossomed into a season of sparkle that delights generations of onlookers from around the world. 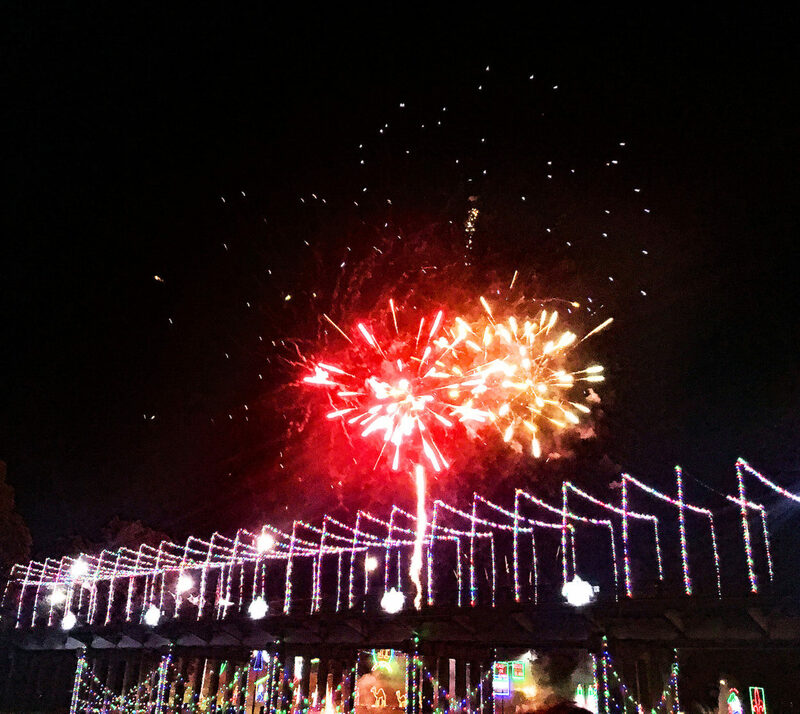 Thousands of visitors journey to Natchitoches every year for Christmas festivities. They are struck with wonder over 300,000 lights strung from rooftop to rooftop. They stare in astonishment at the 100 twinkling lighted scenes that line the Cane River Lake. Holiday-cheer seekers gather on the beloved and recently renovated Rue Beauport Riverfront boardwalk. The renovation included the addition of a festival stage, amphitheater seating, handicap ramps, restrooms, winding staircases, and a brick promenade designed to encourage leisurely strolls along the edge of the water. Every Saturday night at 7 pm from November 17 until January 6, the sky is ablaze with the sights and sound of fireworks bursting and crackling over Natchitoches. November 17th is the kickoff to “Turn on the Holidays” with a day full of activities. Daytime activities include a Christmas Treasures Arts and Craft Show hosted by Les Amies – a woman’s civic service group dedicated to promoting the welfare of the Natchitoches community; and children’s games and activities along the Rue Beauport Riverfront boardwalk. As evening descends, people gather along the riverfront with their lawn chairs and blankets, trying to find the best vantage point for an evening of fireworks and live music. When the first stars of the night appear in the sky, the crowd knows that the “flip” is near and they exuberantly countdown to when a large toggle switch located at the festival stage is flipped on, illuminating the town streets with brightly colored, twinkling lights. The nights’ festivities continue with live music into the night. Shops and restaurants along the Historic Front Street are open later accommodating shoppers and festivalgoers that are looking for something to nibble on or purchase. Let’s face it, staying up late, enjoying live music, fireworks, maybe a little dancing can make a person a bit peckish. 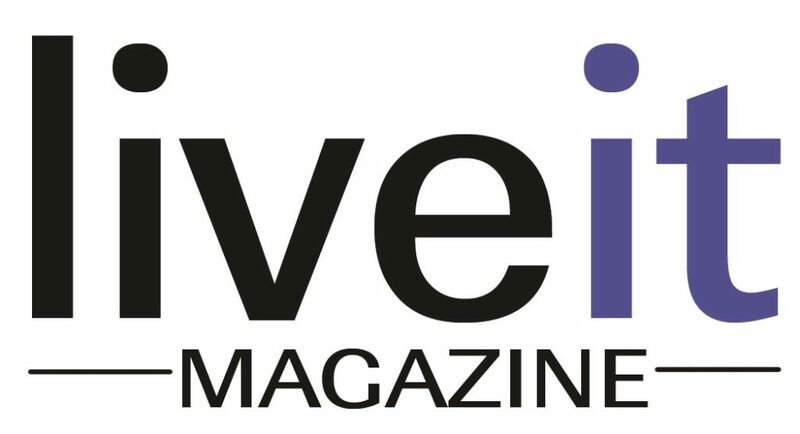 To read the full story, pick up a copy of the November/December issue of LiveIt magazine.